It's my joy to finally talk a bit about my upcoming book, Real: The Surprising Secret to Deeper Relationships, coming October 1 from The Good Book Company! This book has been a labor of love and conviction and joy for over four years. I started studying Psalm 51 over four years ago, and it worked its way into my heart and began to tumble out roughly on the page. The more I studied David's sin, confession, and repentance, the more convinced I became that this was a message we in the church today need to hear--that there is joy in confessing and repenting of sin. But it took a great editor to help me refine that message into what it is now: a book about how we come to have deeper relationships. That message comes out of my own personal journey to open up and let other people in--something that is not easy or natural to me. Chronicling this journey was a fun part of writing this book and seeing how God has been faithful and kind in using the love of friends and family to draw me out over the years. How can I have deeper relationships? What do I do with guilt over sin? What if I don't see my sin? What keeps us from being honest with each other? How do I find honest community? How do I fight against ongoing sin in my life? I'm excited to share more in the coming weeks! For now, I'm going to boldly ask for your help! Writing a book is hard, but promoting it is harder and weirder, and something I don't enjoy. But I'm asking God to make it a joyful opportunity to make His glory known and to get out a message I'm passionate about. The truth is, I believe the truth in this book has changed my life for the better, and I'm praying He'll use it to change many others. Praying for my heart in the middle of book promotion - it's easy to either become self-focused or to want to hide. Please pray for protection and humility. Considering the book for a book club or women's ministry. Each chapter has discussion questions, and it would be ideal for an 8-week study. My great hope is that it would lead people into deeper relationships with God and fellow believers. Note: Real is also available (at a discount!) at The Good Book Company website. Hope When It Hurts by Kristen Whetherell and Sarah Walton - Thirty biblical meditations inviting women to see how God is caring for them, growing them, and even using them, in times of suffering. This book has been an encouragement to so many believers in the midst of suffering. And it's beautiful! 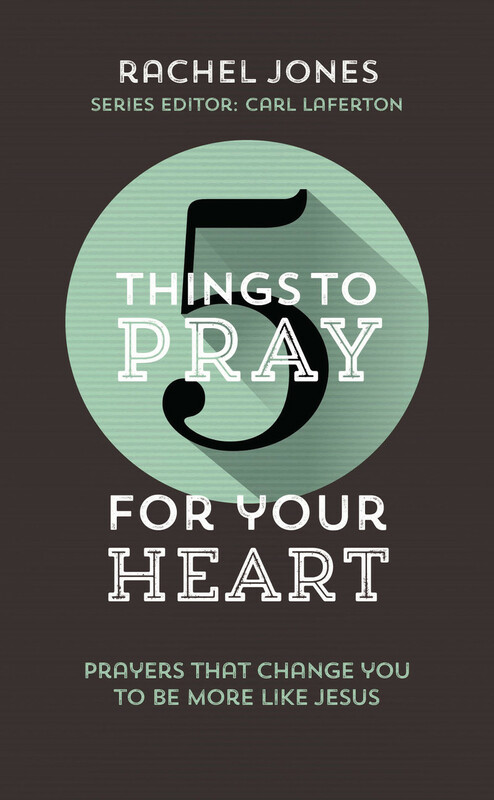 5 Things to Pray for Your Heart by Rachel Jones - Fresh prayer ideas for 21 areas of Christian growth, all drawn from Scripture. Rachel was my editor for Real and she's been an amazing source of encouragement and wisdom. This book is part of a series of "5 Things to Pray for" books, and I've used one of them with my kids and highly recommend them! 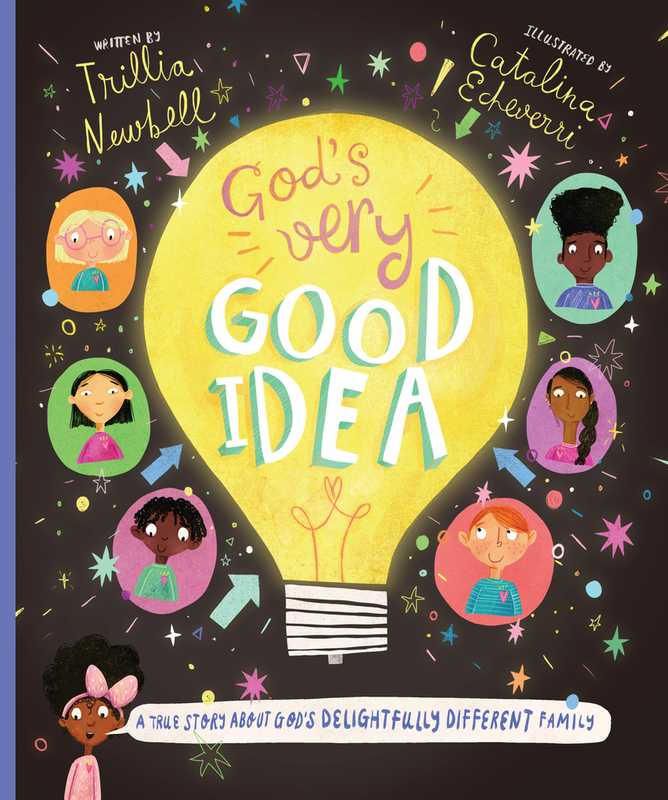 God's Very Good Idea by Trillia Newbell - Beautifully-illustrated hardback book telling how God made people to enjoy being delightfully different but all part of the same family. Trillia is a dear, dear friend, and she also wrote the foreword for Real. This book for kids is fantastic and fun and sweet, and I have loved sharing it with the kids in my family.